One of the biggest legacies of The Blair Witch Project remains its online, viral marketing. Now, 17 years after that phenomenon, the new Blair Witch movie is doing something similar. 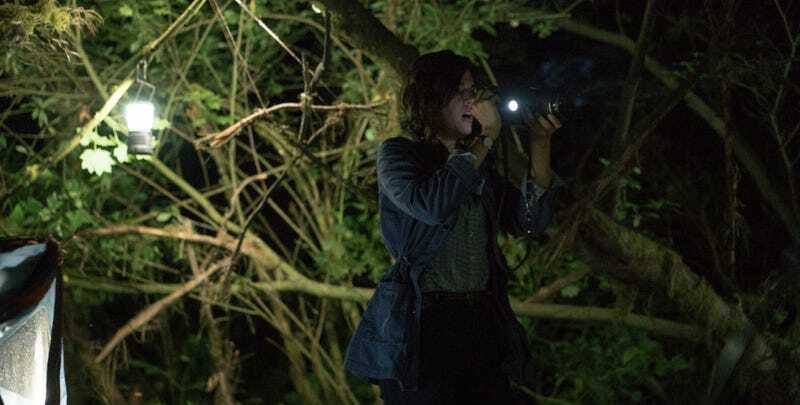 In the sequel, which opens September 16, a character named James heads into the Maryland woods because he believes his sister, Heather, is still alive. (Heather was the main character of the original film.) He’s joined by several friends and a filmmaker named Lisa, who seems very interested in in James’ story. Knowing that, a Kickstarter found by IndieWire looks to be the start of a second story. It’s for a film called The Absence of Closure, directed by Lisa Arlington, who wants her film to explore “the tragedy of ambiguous loss.” You know, like having a sister disappear in the woods. Her main subject’s name is, you guessed it, James. The Frederick Daily is not a real publication, but check out the ad on the lower-right—Jessabelle was a movie released back in 2014 by Lionsgate, who just so happens to be releasing Blair Witch. How deep does this social media, online, viral marketing go? Will it reveal anything about the film? We’ll have to wait and see.